As we progress in the future and the making of the distinctive products and the gadgets, we are close to the reality that the smartphones will be the biggest thing to consider in near time. The word smartphone is on the lip of every person in the world because of the making of these items much more rapidly them before. There are so many amazing new versions of the smartphones that are the reason for the success of the big companies in the world. The top brands like the Samsung, Apple, LG, Huawei and some of the new makers that have gained the control over the market for the amazing and the latest smartphones in the world like the OPPO and the OnePlus. We are expecting much more that before in the years to come from the technology point of view and the advancements and the developments that are being made and still in progress for the world that is under the command for the smartphone and innovations. The latest mobile phones like the Samsung Note 9 and the S10 plus are the mega products from the Samsung featuring the highest display that have ever been in the smartphones up to 4K support. And then comes the camera technology in them that is matchless and the features like the face detection and the iris scan makes the smartphone the best. From the Apple we have the latest IPhone X, IPhone XS and the IPhone XS Max. The premium and the luxury brand making the world under the umbrella of the style and the class for the IPhones. Expensive yet worthy of the money are these beasts from Apple. The Huawei is the next big name in the smartphone industry as it has been over the IPhone for the market share in the world. Huawei has been in the second spot for the smartphones and this is the reason it has been successful and the future is bright for the Huawei. With the amazing advancements and the developments there is much more to be expected in the future for the smartphones. We have seen the bigger size displays in the many amazing series of the smartphones like the Note 9, S10+ and the XS Max etc. the next big thing in the making of the futuristic smartphones are the flexible and the foldable phones. There have been prototypes of the making of such amazing design and the classical smartphones but they are yet to be made for 100% of the required quality. The concept of the folding and the flexible screen has been an old one and this is being tried for many years but the desired output is yet to be produced. We have seen the curved screen smartphone from the LG and this can give the idea of it is possible for the people to invent the foldable and the flexible in the future as well. The smartphone photography is getting the all attention and the need as the digital and the DSLR camera photography is disappearing. We can see in the future that the smartphone cameras to be equipped with the amazing and the latest design cameras technology having the sharpest and the best lenses that we see from the professional photographers. This will revolutionize the concept of the photography and the videography for the people who do this work as a passion. The Smartphone's of the today era are very amazing in the display and the screen technology. We have seen the 4K resolution and this boggles the mind with such amazing and the best resolution. Talking about the Samsung which has invented the 8K resolution television this year we can surely expect more from the Samsung in terms of the smartphones and the display in the mobile technology. The introduction to the 8K smartphones will totally make the concept of the best display phone in the history and no one knows who will be the one to do that. Also the size of the phones really matters and in the future we can expect the smartphones to be the slimmest and the thinnest that are ever made. 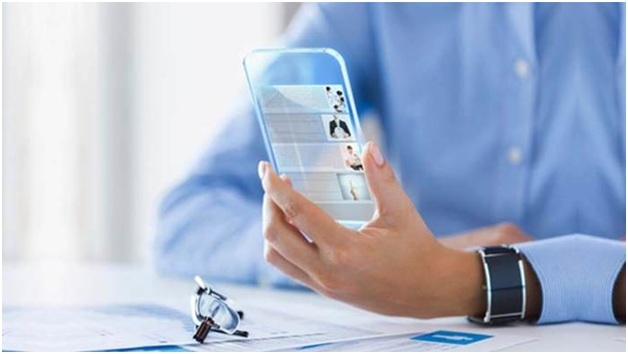 According to Online Assignment Writing Services, the future of the smartphone is very bright as we can say that the technology and the innovations have made everything possible. It is just the matter of time now to see the changes and the new developments in the field of the smartphone industry. From the biggest names in the field of this smartphones line the Samsung Apple Huawei LG and many more, there will be amazing and new dimensions in the way the smartphones are being made and development and this will be seen in the next few years as the fast paced world is developing a lot.